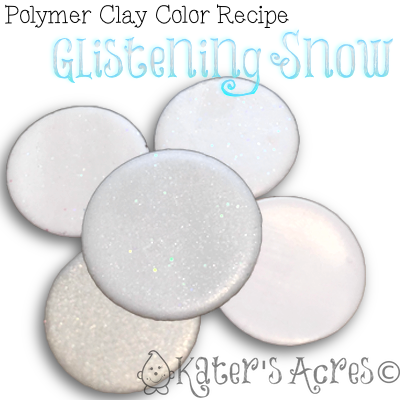 With winter just around the corner and gift making running at full speed ahead, this color recipe will come in handy this time of year. Snow is a difficult color of white to capture. I love snow’s luminosity, sparkle, and shine. I’ve tried to replicate that in this color recipe that I use often for my ornaments and seasonal decorations. What kinds of things would you make with today’s color? Feel free to post your creations on my Facebook page and show everyone what you have made with the color palette from today’s blog post. Also, feel free to tweet your picture to @katersacres with #KatersCP to show off your creation! I hope today’s color selections help you get back into your studio. Thanks for joining me today and don’t forget to sign up for more tutorials, prompts, and projects direct to your email. Sign up now.